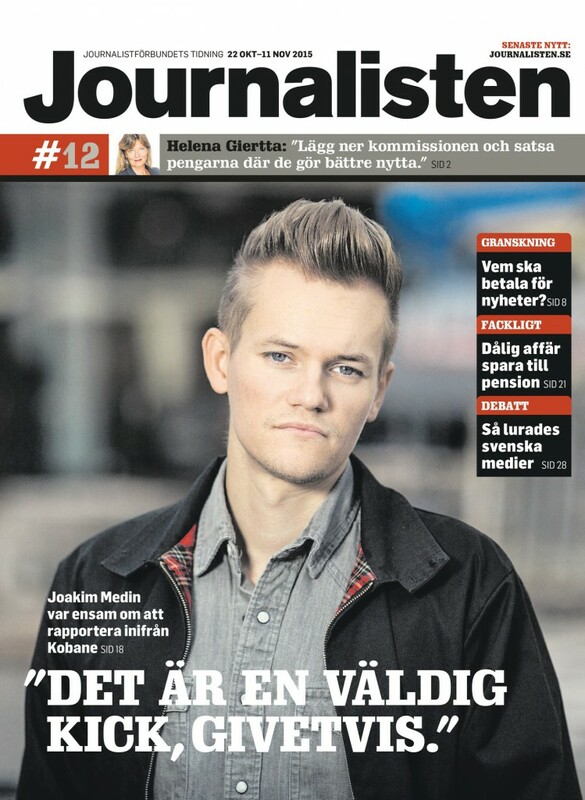 I was interviewed for the latest issue of Journalisten, the magazine of the Swedish Union of Journalists. It arrived in my mailbox a few days ago, and in the article I answer questions about my work in Syria, about life and endless struggles as a voluntary freelance journalist. How I went from being a rebellious punkrocker wanting to improve society and world, to become a secondary school teacher, and then moving on to full-time journalism. And I was very happy to end up on the cover (Dr. Hook). I also reason about the somewhat controversial question of working as a journalist in war zones or other spectacular environments, and getting a personal kick out of it. It’s true, I confessed. But the kick I get is from knowing that I managed to reach difficult places, that the fruit of my labour is because of hard preparations and research, and that what I document will many times be able to serve as education for others. An extension of my previous job as a teacher. Follow this link to read, all in Swedish of course.